The learning curve of this “detox” is not very steep, and for this I am grateful (see previous post: oh jeez, I’m doing a detox!). On the soup subject, pureed courgette soup has turned out to be an excellent way to get my liquid meals while also using up the excess of courgettes and marrow lurking around my house (more on this below). I am grateful that yerba mate and green tea are considered “ok” despite the no caffeine rule. Yerba mate in particular seems to be staving off any hunger headaches. I’m trying to do this on a budget, which means a £30 jug of hemp protein powder is something to avoid. So where to get my protein? Fish and pulses, mainly. Beans are obviously most economical but I’m going to add fish in, too. I’m thinking I can stretch my fish budget by having smaller pieces of fish in a meal but combining it with pulses, nuts and so on. The experiment continues! Breakfast Smoothie: 1 cup blackberries, 1/2 cup blueberries, 1/4 avocado, 1 Tbsp almond butter, 1 date, a good handful of ice cubes and just enough water to blend. This was really very good but almost too filling… I felt a bit bloated afterwards (something that often happens to me with smoothies or consuming any large buckets of fluid). Lunch Soup: Courgette and herb soup, made by adapting Elise’s recipe for Spicy Zucchini Soup (I omitted the jalapeno and bread and used cilantro and basil for the herbs). Dinner: Nicoise-esque salad with green beans, carrots, anchovies and pan-fried salmon with wild garlic pesto. I was non-plussed by this salad. It made me want a real Nicoise. Actually, it made me miss tomatoes. 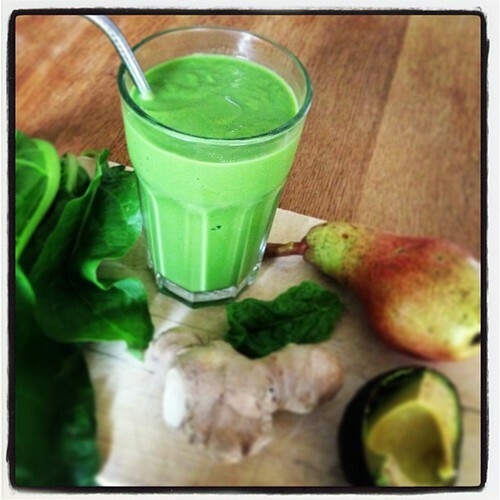 Breakfast smoothie: 1/2 pear, 1/2 avocado, 1 date, 1cm chunk of ginger, a handful of spinach, a handful of ice and enough water to blend. This was delicious! 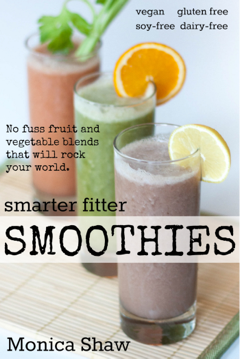 And less bloatifying than yesterday’s smoothie. 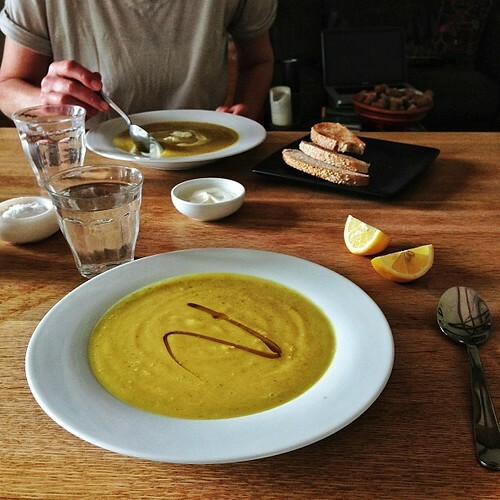 Lunch Soup: More courgette’s, this time Simi’s recipe for curried courgette soup. This was awesome, almost like dal. In fact, my friend Rachel who I shared it with was surprised it didn’t contain any lentils – it was that creamy, thick and delicious. 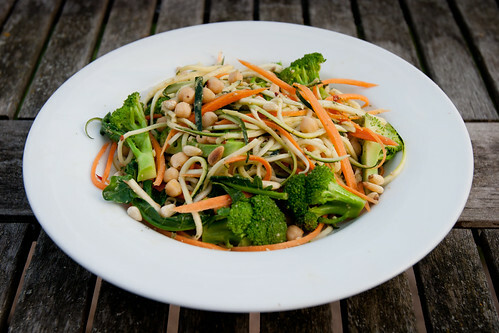 Dinner: Courgette and carrot noodles with wild garlic pesto, steamed broccoli, chickpeas and pine nuts. This rocked my world, but I am a sucker for those vegetable noodles and this is something I would have eaten, detox or otherwise. Tomorrow, a break from courgettes I think. I am fascinated by this detox as I have never done one. At the same time I don’t know if I could do it but if I ever do, I will come here to see how! Thanks, Laura – so far this is pretty easy. I think it’s a big deal that it doesn’t prohibit me from eating with other people. Maybe I’m missing something! Off to go scrutinise the “manual” now…. OOOh those soups look good. I will have to try one of your soups. I have gone down to one cup of coffee. Can’t stop that right off. Found that the stevia I was having it was on the ok list. I had a vegan smoothie supplement in my fridge so I used that for the fruit smoothies. I also am going through my bananas. One thing the book said was to be flexible and do what you can. So I didn’t think throwing out bananas that have such a high carbon footprint would be good. Peaches are in season here in Colorado so they are my low-on-energy sneak snack. I normally would grab something in a bar form. I made the quinoa salad from the book and the ginger/garlic chicken and had it for lunch the first two days with piece of fruit. I also increased my water consumption a LOT. Toughest part….had to turn down cocktails on my ladies evening kayak on the lake. But the cleanse was a topic and everyone thought it was a good idea and were actually jealous. They all have kids and more time constraints. I know this isn’t the goal of the cleanse, but I have lost 3 pounds since starting. I’ll take it! 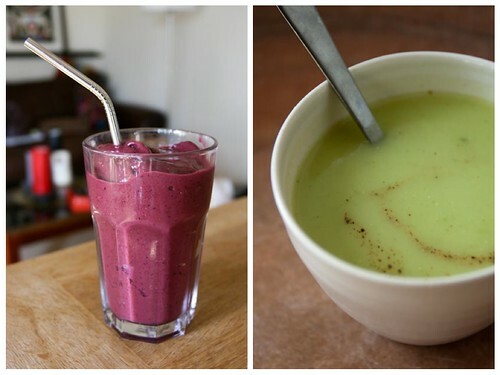 I’ll try your green smoothie today. You are much more creative than I am, so I hope you can make it more interesting food wise! Hi Vivki – I thoroughly enjoyed reading your comment. Yes, agree on your point about bananas. In fact, I have a few bananas sitting around that I’m going to turn into banana bread for my houseguests. 🙂 I can’t let food go to waste! (Thought funny enough, turning food into waste is what this whole detox thing seems to be about!) 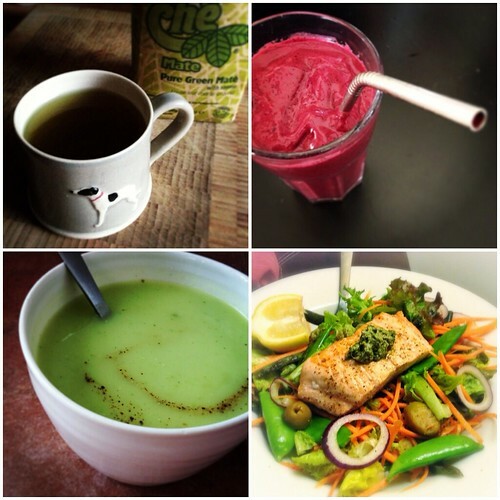 Let me know how the smoothie goes – I love knowing that there are other people out there doing the detox and resisting cocktails. Safety in numbers!